When the Dodgers drafted Chase Utley in the second round of the 1997 MLB Draft, they thought they were going to keep him from fulfilling his commitment to UCLA. 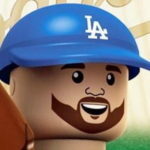 Unfortunately for the Dodgers, he decided to become a Bruin. Now, 18 years later, he is a Dodger. The Dodgers sent infielder/outfielder Darnell Sweeney and right-handed pitcher John Richy to Philadelphia for Utley and $4 million — the cost of Utley’s buyout following the season. Some might pause at the cost to get Utley, but I’m perfectly fine with it. Sweeney, 24, is having a good-not-great 2015 season after being the Dodgers’ 13th-round selection in 2012 out of the University of Central Florida. He was a Triple-A All-Star and is slashing .271/.332/.409 with an 8 percent walk rate and 32 stolen bases. The stolen bases are up from last season (when he was 15-for-31), and he’s stealing them at a better rate (71 percent). I ranked Sweeney at No. 10 in my preseason rankings and 16 in my midseason update. Dodger fans seem pretty upset at sending Sweeney to get Utley, but it’s really not a big loss. Yes, Sweeney has some talent, but his likely future is as a utility player in the majors, and that’s if his tools translate to the majors. He’s fast, but he isn’t great at stealing bases. He has some pop, but his strikeout rate is up and is walk rate is down. And, perhaps the biggest determiner, he doesn’t have a defensive home. He was drafted as a shortstop, played a lot through the low minors and was moved to second base last year in Double-A. He also has played some outfield — mostly center field. If he is at all capable at either position, he probably has enough bat to be a second-division regular. But even that remains to be seen. There’s every chance he’s a Quad-A player in the long run. Either way, he obviously didn’t factor into the Dodgers’ short- or long-term plans and was seen as expendable. If the Dodgers wanted to keep him after this season, he would need to be added to the 40-man roster, or he’d be eligible for the Rule 5 Draft. As you can probably recall, the Dodgers’ 40-man roster has been full virtually the entire season. And Sweeney was rather redundant with Enrique Hernandez and Jose Peraza in the organization. Sweeney will get his chance immediately, as he’s being recalled to take Utley’s spot on the Phillies’ roster. Richy’s ceiling is a No. 4 starter if his stuff shows enough swing-and-miss. If not, he might be a middle relief-type in the majors. Like Sweeney, there’s every chance Richy is nothing more than roster fodder and he wasn’t seen as a guy who had enough of a future in LA. The right-handed pitcher depth chart is pretty deep. This is an acceptable price to pay for Utley’s offensive potential. He isn’t much with the glove anymore, but he is showing signs of life at the plate. Yes, he’s in the midst of the worst season of his career — .217/.284/.333 with a 66 wRC+ and -0.5 WAR — but it isn’t all bad. His production is being stifled by a .227 BABIP, but that’s partly because he has dealt with injuries this season and the fact he’s 36 years old. It was just one season ago he was a 4.5-win player. Utley returned from the disabled list on Aug. 7 and has performed well: .484/.485/.742 with a home run and five doubles in eight games. He’s also hitting the ball harder than at any point of his season. This doesn’t even account for Alex Guerrero, who may or may not make it through the season on the roster (I’m betting he will). As for Utley’s contract, that’s something to consider in all this. He’s owed about $6 million the rest of the season. He has three vesting options at $15 million each year from 2016 through 2018 with a $2 million buyout for 2016. The Phillies sent $4 million to cover a portion of Utley’s remaining 2015 salay and his buyout. But that doesn’t automatically mean the Dodgers will exercise the buyout, though. Utley has expressed interest in playing beyond this season and preferred to waive his no-trade clause if he had a future with the team to which he was traded. While the Dodgers have Howie Kendrick, he’s a free agent after the season. If Utley performs well enough, there’s a decent chance the Dodgers would exercise the option for 2016 and have their 2016 second base platoon. An Utley/Hernandez platoon wouldn’t be too bad for next season, as long as Utley is producing. But that’s a long way off and ultimately, not likely anyway. Here’s what Mike wrote about this situation just last week. “If you want to argue that Utley would be a good veteran addition with postseason experience who could work as a lefty bench compliment to Scott Van Slyke and Alex Guerrero, sure, okay, fine. (Presumably taking Alberto Callaspo‘s roster spot, though that would leave the team thin at third base behind Justin Turner.) But as the regular second baseman? Perhaps we’re underestimating Enrique Hernandez. Hernandez has played well since Kendrick went on the disabled list, and this acquisition isn’t about sending Hernandez back to the bench. It’s about maintaining his utility. He’s the primary backup at second base, shortstop and center field. With Joc Pederson struggling to make contact, coupled with Hernandez’s ability to mash against lefties, Hernandez could see a little time in center field to give Pederson a physical and — more importantly — mental break. He could also become the primary backup at third base because to make room for Utley on the 25- and 40-man rosters, the Dodgers designated Callaspo for assignment. Callaspo wasn’t the worst player in the game in his 59 games with the Dodgers, but the fact he played 59 games for the Dodgers is a problem in and of itself. Turner is not going to be an everyday guy at third base — just as he wasn’t before he landed on the disabled list. If Hernandez isn’t the backup, then it might very well be Utley. Mark Saxon tweeted the Dodgers might use Utley at first- and third base. He has experience at first base, so that isn’t unheard of. However, he has exactly zero games played at third base in the majors and 123 games in the minors — all coming in 2002 as a 23-year-old. I’m highly skeptical that he’ll be able to handle the hot corner. It’s much different than second base, and I’m most concerned about him being able to make the throw across the diamond. Lastly, Kendrick is still on track to come back at the beginning of September, but one can’t at least think his hamstring injury might be a little more serious than the Dodgers are letting on (wouldn’t be a first for this organization). If Kendrick is out longer than expected, Utley’s acquisition makes even more sense. There’s really nothing not to like about this trade. Yes, Utley isn’t the player he once was, but if he’s healthy, he could still be a solid offensive producer — even if for just six weeks. He’s coming home and playing for a chance to extend his career to a 14th season. The Dodgers gave up prospects whom they won’t miss much and bolster the potential postseason bench. This also doesn’t preclude the team from attempting to upgrade the bullpen before Aug. 31. The prospects dealt don’t cripple the system at all, and the organization has plenty of pieces to deal for an arm. Then again, the available bullpen arms are less-than-stellar and the Dodgers might just be better off promoting from within. Welcome to Los Angeles, Chase. Please be really, really good.